How do we encourage more girls to pursue careers in engineering? The Society of Women Engineers (SWE) is a not-for-profit educational and service organization that empowers females of all ages to succeed and advance in the field of engineering and be recognized for their life‐changing contributions as engineers and leaders. In order to improve these statistics, SWE oﬀers an array of outreach activities to inspire girls to explore careers in engineering or other technical fields. 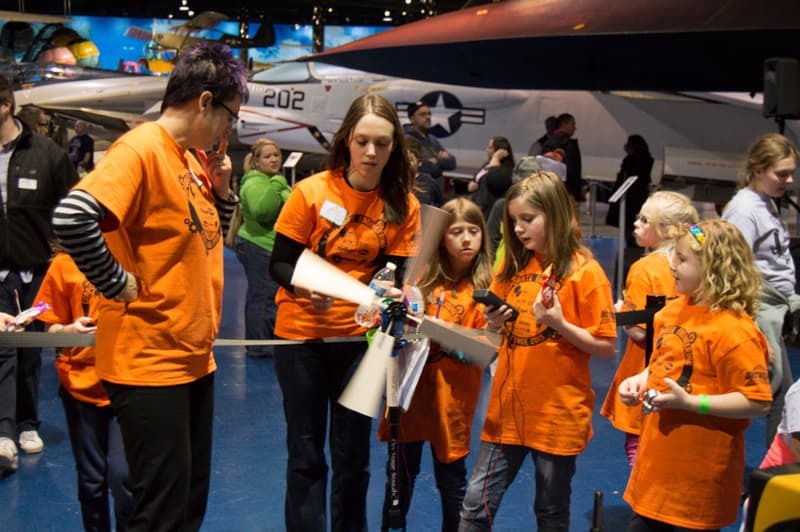 For this reason the South Central Michigan Section of SWE and the Air Zoo are extremely pleased to present the 2019 Corporate Engineering Challenge again in February of 2019! 1) Display stations sponsored by local companies. 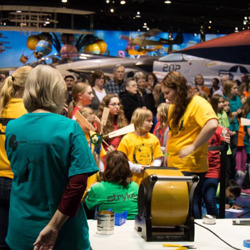 Each station will include a demonstration of products and/or services the company provides as well as an engineering, science, or math activity for attendees to complete. Ideally, these activities will reflect work done at the company. 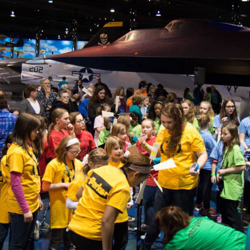 These stations will be open to any member of the public who has paid admission to visit the Air Zoo that day as well as the girls participating in the challenge. 2) A CHALLENGE activity in the afternoon, where teams of 6-8 girls (ages 9-12) complete a technical challenge and compete against opposing teams. Last year’s challenge was construction of a airplane to explore principles of flight. 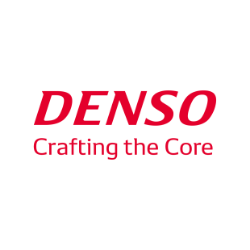 Each team is associated with a sponsoring company and led by a representative from that company. The 2019 SWE Challenge is now full. This end time is dependent on the sub schedules that each group will have based on their scheduled panel discussion and lunch break. Girls will be split between two lunch shifts, alternating with panel discussion shifts below. Girls will be split between two panel discussions, alternating with lunch shifts above. *Wait list girls will attend first panel discussion prior to being released for the day. Members of the winning team receive awesome prizes. 1) If you want to stay and watch or have other children participate in the corporate tables, you must purchase admission for anyone not registered for the SWE event. 2) If you want to come and just watch the challenge, you must also purchase admission (see pricing above). 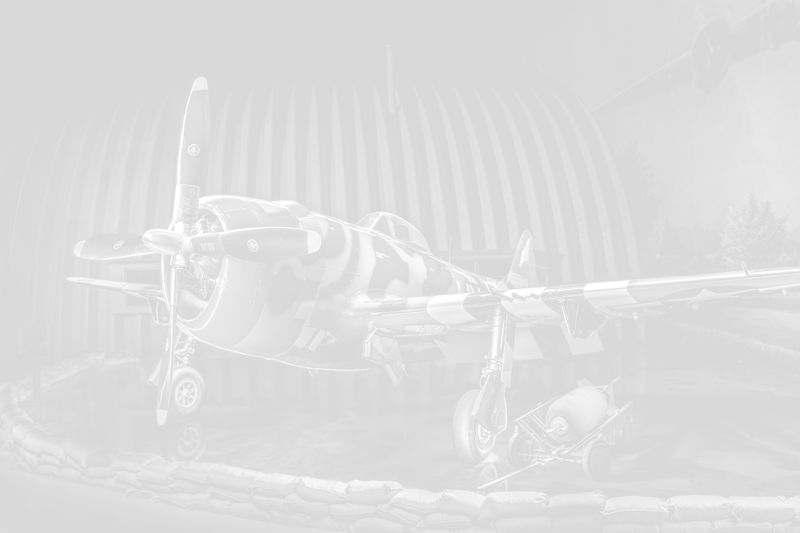 3) If you don’t buy admission you will have to pick up your child in the lobby area of the Air Zoo at 3:30pm, your girl will be escorted to the Lobby by their mentor. 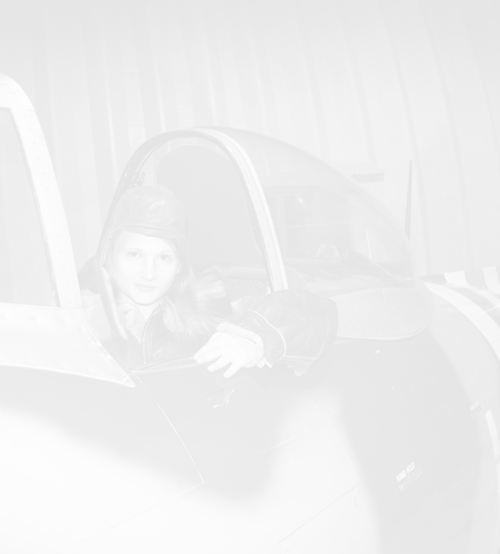 4) You will have to come in to the Air Zoo and sign your girl in. 5) You will have to come in to the Air Zoo and sign your girl out. 6) Girls placed on corporate challenge teams will be fed lunch - cheese or pepperoni pizza. If your child has allergies, please pack them a lunch. There is no refrigeration available. *Wait list girls will be picked up after panel discussion and lunch will not be provided by SWE. Wait list girls and their familes are welcome to purchase lunch at the Kitty Hawk Cafe. 7) It is suggested that you send your girl sith a water bottle. They will get snacks and water, but it can get hot and dry on the exhibit floor. 8) Please send your girl in a shirt that can be worn underneath their team shirt. Finally, thank you for registering your girl for the SWE Corporate Engineering Challenge! We love this event and we know that your budding engineer will too!